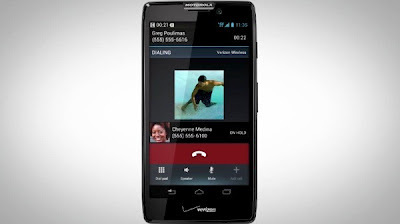 Just ahead of the rumored but just about confirmed September 5th launch, Motorola's RAZR HD just hit the FCC in all it's documented glory. Interesting tidbits include LTE capabilities on band 4 and band 17 which respectively are the AWS band (1700MHz) and 700 MHz band. Coincidentally enough (not! ), Rogers, Bell and TELUS run their LTE network on AWS. So why do we think Rogers is getting it? More after the break. Since AT&T and Bell have already launched the Atrix HD LTE we'd find it unlikely that they would nab this version of the RAZR so that leaves Rogers and TELUS to grab the RAZR HD. Since TELUS' hasn't traditionally carried many Motorola flagship phones (except the first Milestone) since they launched their HSPA network this leave Rogers as the probable carrier to bring in the RAZR HD. In fact, we think the will probably be marketed as the successor to the Motorola RAZR. Don't paint us surprised if Rogers announces they will carry the RAZR HD after its announcement next week.